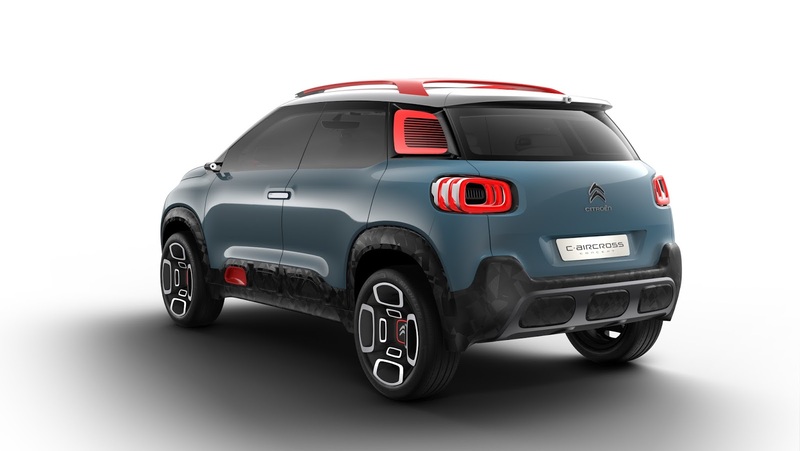 Citroën has revealed C-Aircross Concept, a concept car with strong identity which offers a new vision of compact SUV. With its world premiere set for the Geneva Auto Show on 7 March, C-Aircross Concept heralds Citroën's global offensive on the compact SUV segment. Citroën has revealed a daring car concept with a colourful and strong identity in a world premiere. 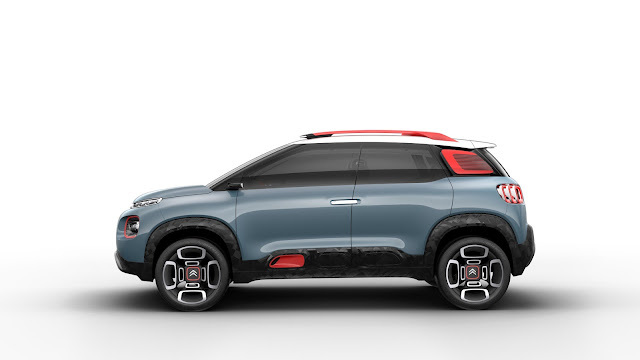 Citroën’s interpretation of a compact SUV, C-Aircross Concept marks a new stage for Citroën in the deployment of its product strategy. C-Aircross Concept marks its difference into the world of SUVs with its totally strong, original and fresh attitude. It has a unique morphology and a right balance between protection and fluidity of lines. Its also suggests an impression of space on board, where colours and materials creates a both technical and relaxed atmosphere in a very stripped back style. The concept offers space, wide quilt-effect seats, and plenty of light, owing to its panoramic sunroof. 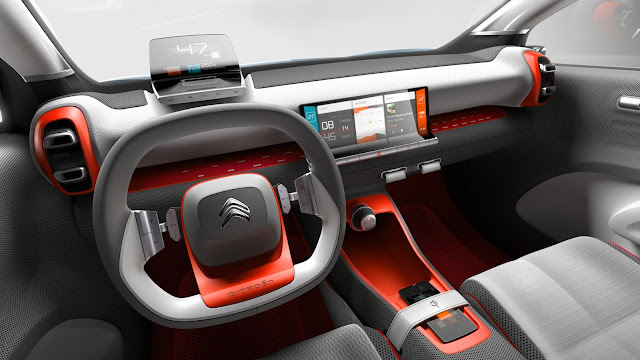 Inside the car the foundations of the Citroën Advanced Comfort® programme can be seen, and technology serves to improve ease of use, for example: the colour head-up display an aesthetic blade in continuity of the instrument cluster, single spoke steering wheel with intuitive commands, rear view camera vision and wireless induction charging for smartphones. "The showcar C-Aircross demonstrates Citroën's pursuit of its international product offensive. 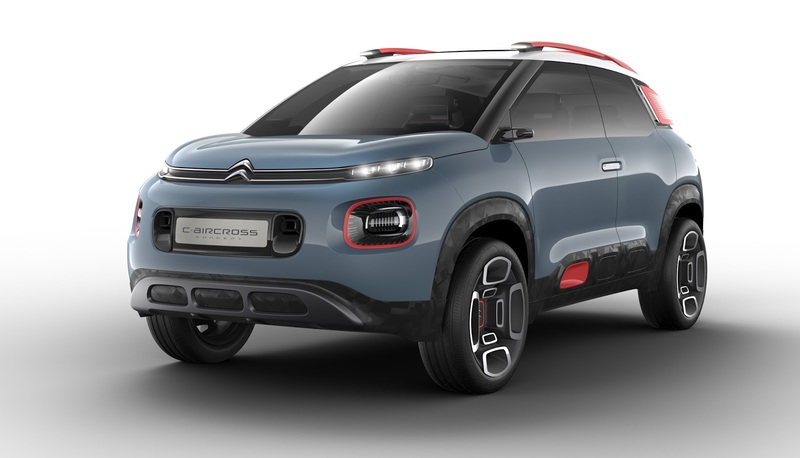 Based on the state of mind of New C3, it illustrates a different vision of compact SUVs, full of confidence and boldness. This concept embodies also completely the ambitions of the Citroën Advanced Comfort® programme with its interior space source of well-being." 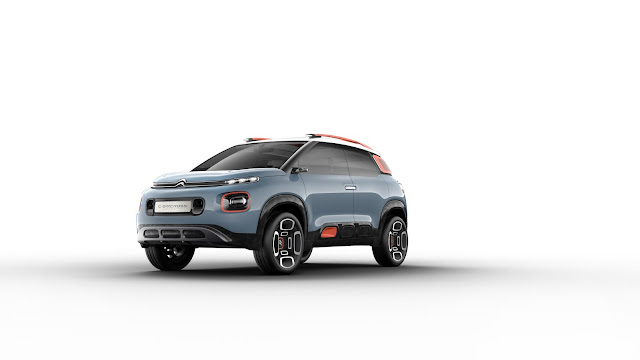 C-Aircross Concept which heralds Citroën's global offensive on the SUV segment invites you to come along to Citroën Brand stand at the Geneva Show on 7 and 8 March (press days) and 9 to 19 March (public days).